Balance and coordination skills help toddlers interact with the world around them and perform more complex physical activities. Running, jumping, kicking, throwing, drawing pictures or constructing block towers are all examples of activities that develop a 2-year-old's balance and coordination. 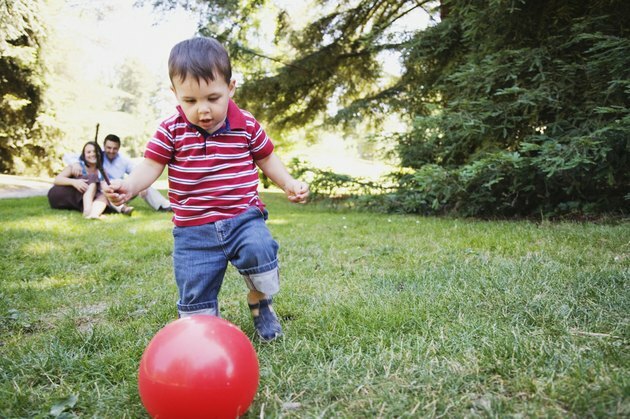 Balance and coordination skills develop over time as children play and experiment with their worlds, so it's important that you provide a safe, supportive environment as your toddler learns to develop these skills. Play Simon Says to help improve your 2-year-old's balance and coordination. For example, when Simon says, "Stand on one foot and touch your nose," your toddler has to balance on one foot while attempting to touch his nose, which requires hand-eye coordination. Play Red Light, Green Light to teach your toddler body control, which is essential for good balance. 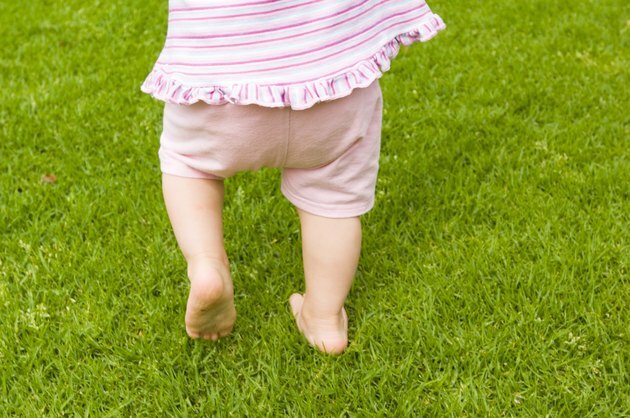 Have your 2-year-old alternate between running, skipping, galloping and hopping. Play Follow the Leader and have your toddler shadow your movements. Model a variety of physical activities, such as balancing on one foot, skipping or hopping. These movements teach your 2-year-old to use her muscles in different ways, improving her balance and coordination. Learning to throw, roll, kick and catch a ball is a great way for your two-year-old to work on her balance and coordination skills. 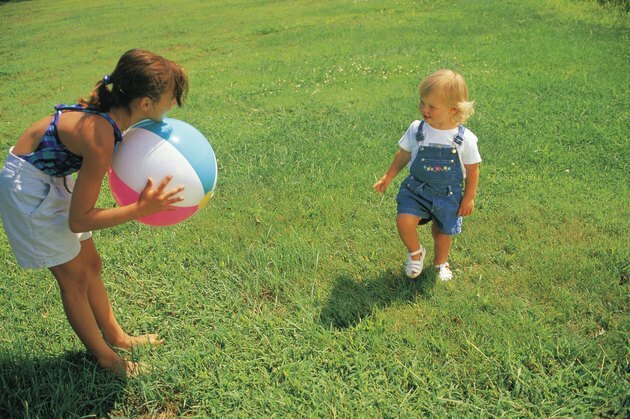 Use a large, light ball, such as a beach ball or a balloon, as these are easier for toddlers to use. Roll a ball back and forth to your 2-year-old or have her throw a balloon into the air and catch it. Both of these are great activities for developing and improving your 2-year-old's hand-eye coordination. Have her practice kicking the ball to you. Kicking the ball requires balance and coordination as she shifts her weight to one leg, while attempting to strike the ball with her opposite leg. Stairs, hills, crawl spaces and stepping stones all challenge a two-year-old's balance and coordination. 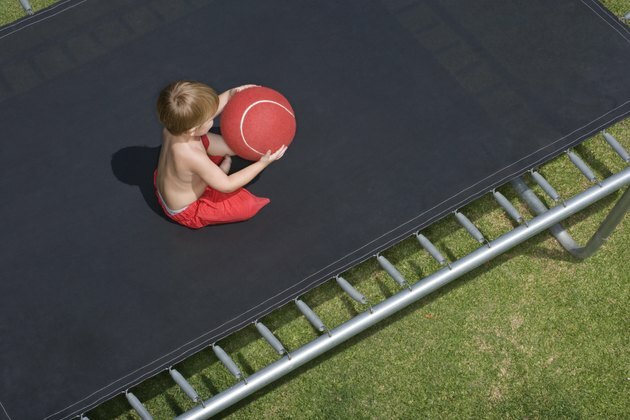 Create an obstacle course that allows your toddler to work on his balance and coordination in a safe environment. Set up pillows and boxes and have your toddler crawl around and through the boxes and step on the pillows, going from one to the next without touching the ground. Design an obstacle course at a toddler-friendly park using the available equipment, such as climbing the stairs to go down the slide, walking on the balance beam or crawling through tunnels and forts. Coordination requires the ability to use your hands and eyes simultaneously. Activities, such as tracing lines, building with Legos, painting pictures or sculpting with Play-Doh all develop hand-eye coordination. Have your toddler paint a picture, encouraging him to use lots of lateral strokes. This side-to-side motion will improve his left-to-right tracking, which is important for hand-eye coordination, but is also a vital skill in learning to read as well. Have your 2-year-old trace the outline of simple shapes. 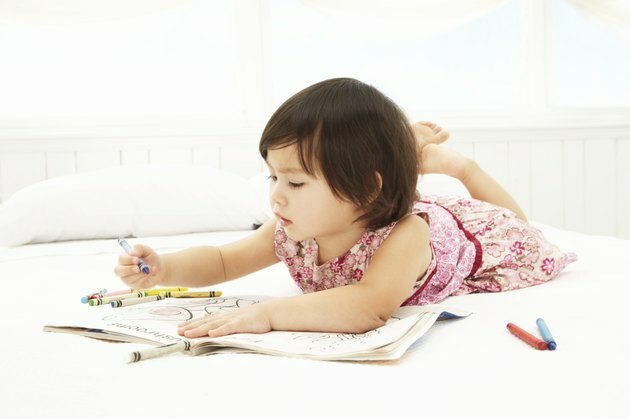 Tracing will help your toddler coordinate the movements of his hands with what he sees with his eyes.